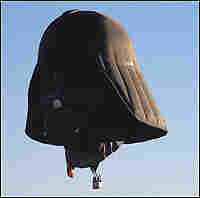 Darth Vader Rules Hot-Air Balloon Event This year, 850,000 visitors are casting their eyes heavenward at the International Balloon Fiesta in Albuquerque, N.M. The star of the show is Darth Vader, who comes with his own security detail. Benoit Lambert from Belgium received special permission from Lucas Films to create his Darth Vader balloon. 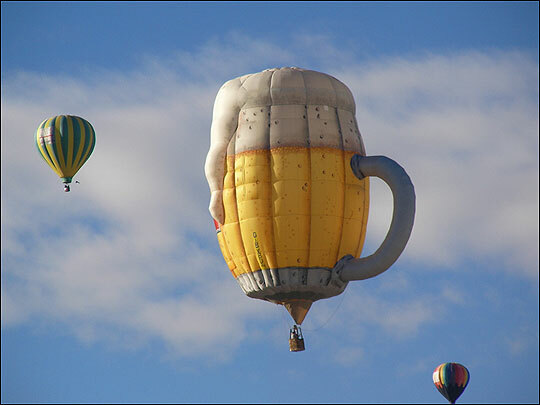 Among the hundreds of balloons at the 36th annual Albuquerque Balloon Fiesta was Bierkrug, this beer stein balloon from London. At the annual International Balloon Fiesta in Albuquerque, N.M., the star balloonist has his own security detail: Storm troopers. 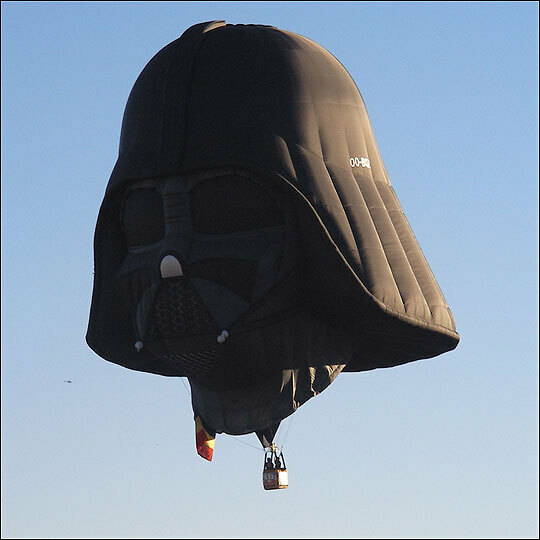 Belgian Benoit Lambert's hot-air balloon, in the shape of Darth Vader's mask, is harder to navigate than traditionally shaped balloons. But Lambert says he flies confidently because "the force is with us." This year, 850,000 visitors are casting their eyes heavenward to watch a rainbow assortment of whimsical balloons fill the sky at the Fiesta. Though a woman died in a balloon accident earlier in the week — the last fatality was 1998 – the event continues through this weekend. 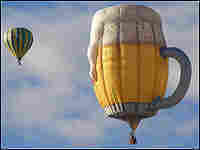 Among the designs aloft in the New Mexico sky is a beer stein and a barn-shaped balloon with horses and flowers. By 9 a.m., more than 200 balloons dot the sky, though some vessels stubbornly sit on the ground. Tony Polito, a 20-year veteran of the event, flies an 80-foot yellow balloon he calls "Retro Bird." As he struggles to get his balloon airborne, Polito explains that mornings and late afternoons are usually the best time to fly because of the calm winds. But sometimes balloons are just moody. "Lighter than air is what this is, so anything affects it — downdrafts, updrafts, wind shear — but that's part of the challenge," Polito says.